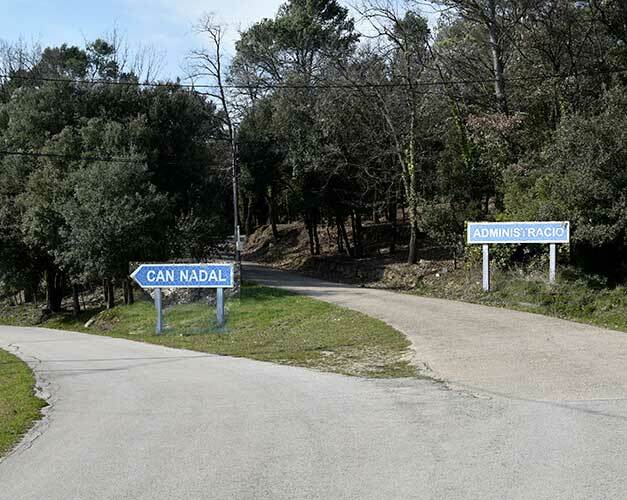 Can Nadal is located at the foot of the mountain of Rocacorba (330 meters of height). 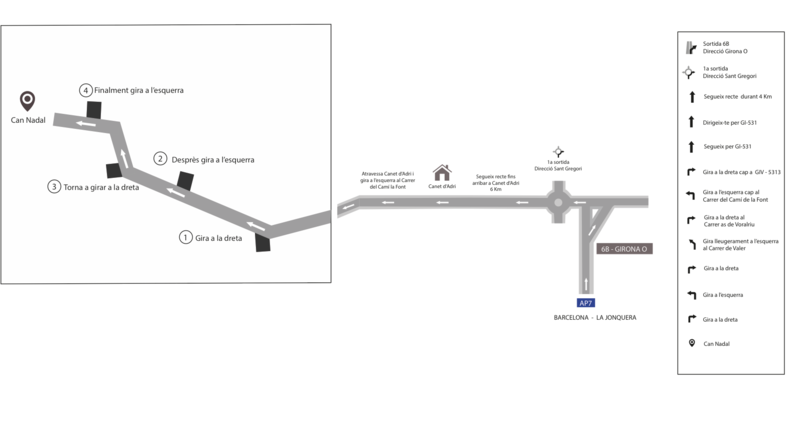 It belongs to the municipality of Canet d'Adri of the region of the Gironès and is very close to the urban nucleus. 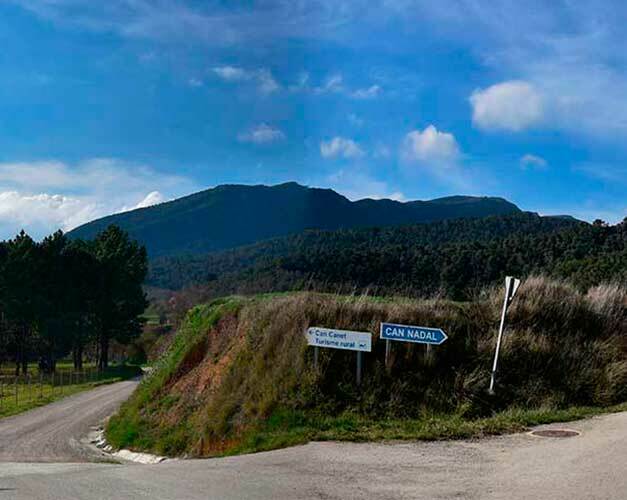 15 kilometers from Girona, it is the starting point for many hiking and mountain biking routes to the sanctuary of Rocacorba (929 meters), volcanoes and neighboring valleys. The population of the area is very old. In Can Canet, very close to Can Nadal, prehistoric remains of the lower and middle Paleolithic were found. Of the Neolithic era is the dolmen of the Mota, in Montbó. And the town of the Castell d'en Carrerica, was of the Iberian age, as most are located on top of a mountain that dominates the valley of Canet. Since the Middle Ages, the settlement is distributed in many villages there that were located there, some of which still exist. The Cathedral and the castle of Rocacorba were exercised feudal lords of these territories. At the end of the fourteenth century, could be freed from the yoke of feudal becoming Girona street and thus came to depend directly on the king. Until the eighteenth century, the population was increasing, and enlarges it built many new houses. Thereafter it was losing population. In the twentieth century, in the last 30 years, has again increased the number of inhabitants, reaching 671 in 2015.